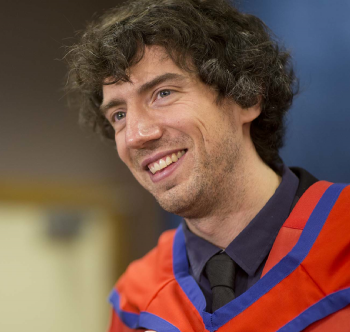 Snow Patrol founding member and lead vocalist, Gary Lightbody receives the Honorary Degree of Doctor of Letters (DLitt) for services to the music industry. A native of Bangor in County Down, the musician-songwriter attended university in Scotland in 1994 to study English literature and English language. While he was there, the seeds for Snow Patrol – which has gone on to become one of Northern Ireland’s most successful music exports - were sown. The band has enjoyed huge success across the world, especially with the songs ‘Chasing Cars’, ‘Run’ and ‘Just Say Yes’ which was used as the campaign theme tune during Derry-Londonderry’s successful bid to become 2013 UK Capital of Culture.